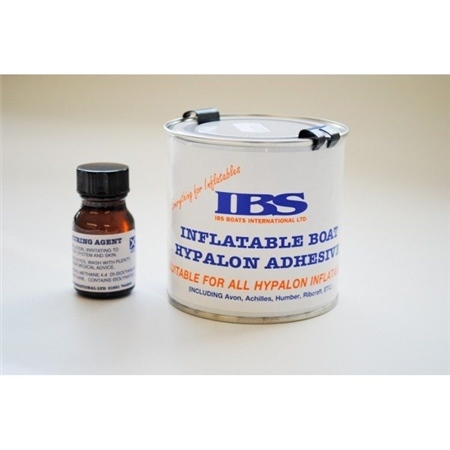 Two Part Hyplalon Adhesive 250ml is suitable for all Hypalon inflatable and Rigid Inflatable Boats. Used by Major Manufacturers, MOD, etc. This boat adhesive will bond natural rubber materials, rigid PVC, wood, leather and metal. -Includes 10ml cure. -Shelf life unopened tin 12 months. -Mixed pot life 2-3 hours. -Coverage 1 litre per 1 square metre.